Murray Carter is an amazing person. 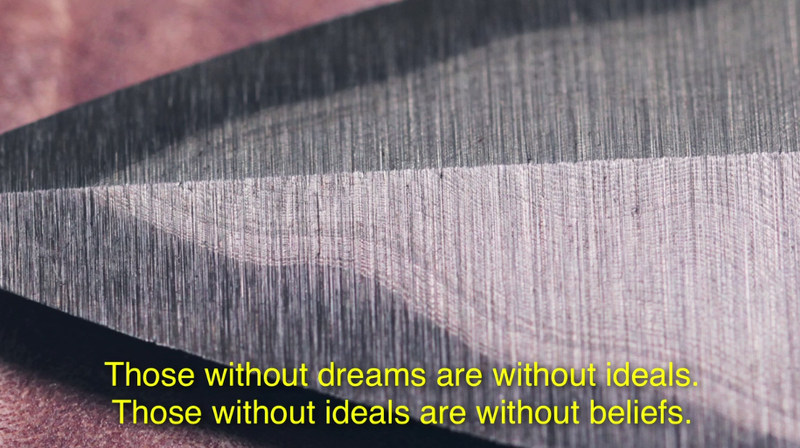 After living in Japan for half his life, and spending six years as an apprentice there, he became 17th generation Yoshimoto bladesmith. Now, with 26 years experience in the field he's made over 18,000 (very beautiful) knives, he works out of his own shop, Carter Cutlery in Oregon, he has a ridiculously wise and inspiring outlook on following your dreams and guys, he's a Haligonian. I can't say anything better than he can, so just watch this. Carter from Cineastas on Vimeo.